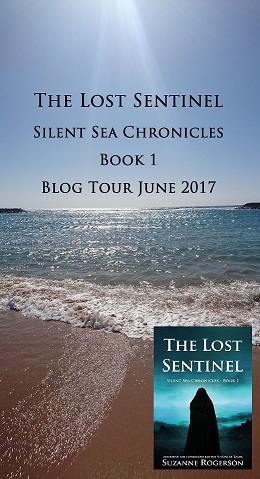 On 29th June, The Sentinel’s Reign will be released into the world and I hope you will all help me celebrate the second book in the Silent Sea Chronicles. I made the decision not to run a proper blog tour this time around. Last year it exhausted me and took the shine off the publication of The Lost Sentinel. I do have a few guest posts, interviews and mini excerpts lined up over the coming weeks and hopefully a few reviews will be going up very soon as well. I hope to write an update post each day with links to the bloggers who’ve agreed to help promote my new release. Rainne over at Rainne’s Ramblings has posted an exclusive look at the prologue of The Sentinel’s Reign. And Ari Meghlen interviewed me on her blog today. It’s always fun answering questions about my writing journey. Please check out both these lovely ladies blogs. That’s about it for today’s update. I would love to get a few more pre-orders in and see The Sentinel’s Reign hit the kindle charts hard on release day, will you help me? You can pick it up at the bargain price of 99p, just follow the link here. I can’t believe there are only 10 days to go before Book 2 in the Silent Sea Chronicles is published! The Sentinel’s Reign is out on 29th June 2018 but you can pre-order it now for only 99p / 99c. The price will go up soon after publication, so why not ensure you get your copy for the bargain price. Order here. At the moment I haven’t planned a blog tour, but if you are willing to post about The Sentinel’s Reign around the publication date, I would be very grateful. Please get in touch in the comments or on my contact form, or just re-blog and share. Thank you! I am also looking for book bloggers who maybe interested in reviewing books 1 and 2 in the series. Again, please get in touch. The Sentinel’s Reign is due out on 29th June 2018, but you can pre-order your copy here. It is book 2 in the heroic fantasy series Silent Sea Chronicles. At present I don’t have plans to run a blog tour, but I would love as many bloggers as possible to post about The Sentinel’s Reign before, during and after its release. Please get in touch and I can send you the promotional bits beforehand. I am also looking to send out ARC copies if anyone would like to review Book 2 in the series (books should be read in order, but please get in touch to discuss). My last request for help is that I am tweaking the blurb, so I would love your help to make this really appealing to new readers. With the new Sentinel initiated and the magic restored on Kalaya, the future is thriving for Tei and the exiles. But Rathnor’s plans for war soon escalate and thwart any chance of a peaceful life. Brogan’s position on the Assembly becomes tenuous as rumours circulate that he is an exile spy. Farrell is recovering from an attempt on his life and is more determined than ever for his people to build a home on Stone Haven. But the council have their sights set on Kalaya and Farrell struggles to steer them away from the temptation of war. As trouble festers within and outside forces gather against them, can the exiles keep their hold on the magic, or will this spell the end of Kalaya and its people? This is the second book in the Silent Sea Chronicles and should be read in order. Thank you for your help. I will be running a belated paperback and e-book giveaway for Book 1 – The Lost Sentinel in the next few days so keep an eye out for news of that.